Few organizations beat the White House when it comes to power and prestige. But one that might be a step up is Amazon, with its seemingly global reach and world-conquering ambitions, changing not only e-commerce, but also drastically altering the course of retail itself. At a time when legendary names in U.S. retail such as Sears are headed for extinction, Amazon continues to not only avoid significant negative media coverage, but also wow the public with everything from the promise of drone delivery to original programming such as alternative history thriller The Man in the High Castle. Ask Apple, a world-beater by any definition, if imitation is indeed the highest form of flattery, as it just introduced a rival to Amazon’s interactive home speaker, Alexa. 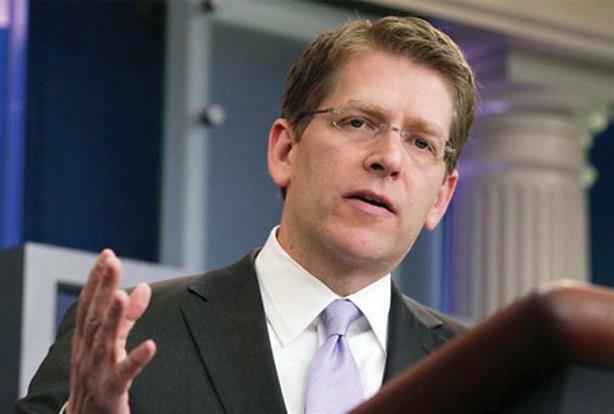 Of course, Jay Carney is no stranger to the halls of power. He had — especially by current standards — a long and relatively drama free three-plus years as White House press secretary in the Barack Obama administration. Before moving to the other side, Carney was an esteemed journalist, holding the plum position of Washington bureau chief and — he’s fluent in Russian — a spot as a Moscow correspondent for Time magazine.